1. 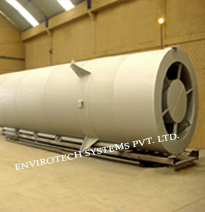 Envirotech Blower enclosures are available in galvanized or painted steel or aluminum construction. They are built for strength, easy access, and weather resistance. 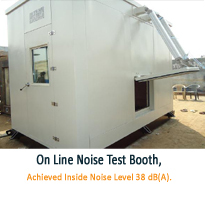 Since mass and rigidity are required for sound attenuation, each UBP custom enclosure employs 14 gauge steel or .125 inch aluminum with formed shape construction. 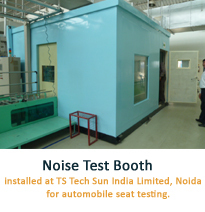 The interior is lined with 2 inch sound absorbing media which is heat and oil resistant and dual bonded to the exterior. 2. 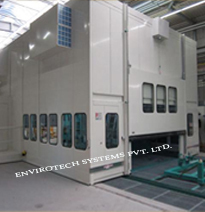 Envirotech Blower enclosures are designed with ease of normal service in mind. 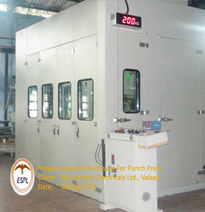 Access doors at both the front and rear of the enclosure are flush mounted and sealed for weather resistance. 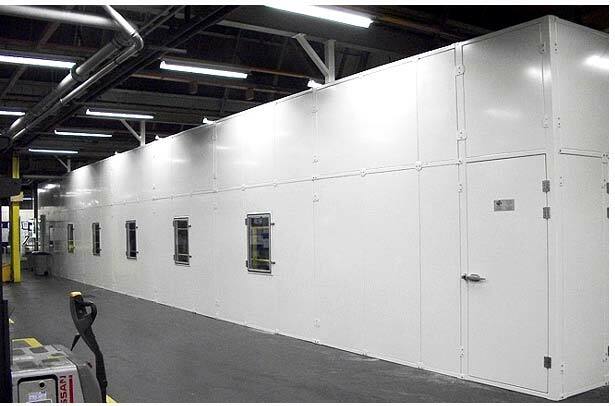 These hinged doors have convenient 1/2 turn compression fasteners for a sound tight seal. Oil inspection ports are spring hinged and located for easy viewing of blower sight glasses when blowers are so equipped. Oil and drain extensions are provided for easy oil changes without having to enter the blower. 3. 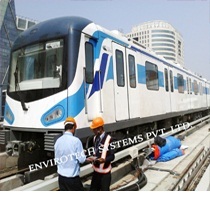 Envirotech Blower enclosures feature an optional fan to provide cooling for the blower and motor. At the opposite end of the enclosure, a shroud allows cool air to be drawn in. 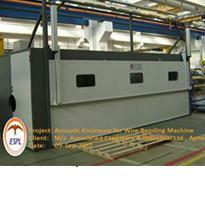 This system is available on high temperature applications. 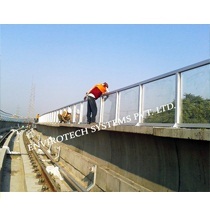 The Polycarbonate Noise Barriers' work was completed by Envirotech in a good manner and also according to our specifications. 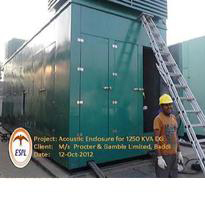 Acoustic Enclosure supplied by Envirotech, has fulfilled CPCB Norms without affecting DG set performance. 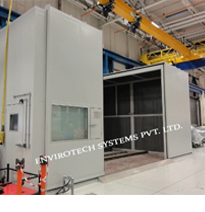 The Noise Test Booth designed by Envirotech (ESPL) has acieved the desired noise level i.e 35 dB(A) in side the chamber. 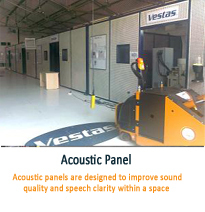 The design of Anechoic Chamber has fulfill our requirement & no echo generation was found inside the chamber .